Did you know that the very food known as “Hummus” was derived from the Arabic word meaning “chickpeas”, and the complete name of the prepared spread in Arabic is ḥummuṣ bi ṭaḥīna which means “chickpeas with tahini”. Hummus is basically a Levantine dip or spread made from cooked, mashed chickpeas or a mixture of other beans, blended with tahini, olive oil, lemon juice, salt and garlic. 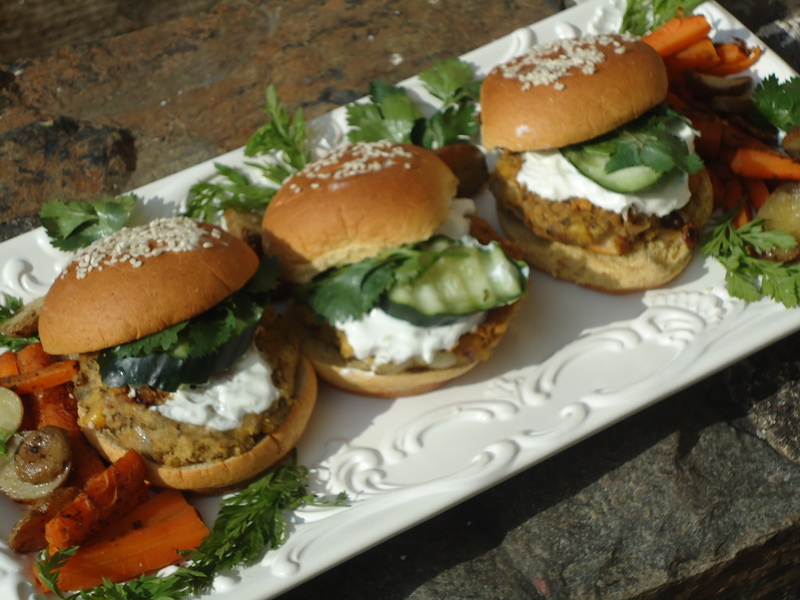 It is popular in the Middle East and in Middle Eastern cuisine around the globe. It can also be found in most grocery stores anywhere in the world. The chickpeas used in hummus make it high in fiber, protein and iron, and when lemon is added, offers your body a boost of vitamin C and antioxidants. What’s more, a thick spread of hummus will never threaten your waistline, but tahini has been known to be anti-inflammatory and lower cholesterol. Yes, you can buy hummus at just about any local grocery store these days, but it so much better if you make for yourself at home and so easy to do as you can follow this recipe basic recipe with a few tips from Inspired Taste. 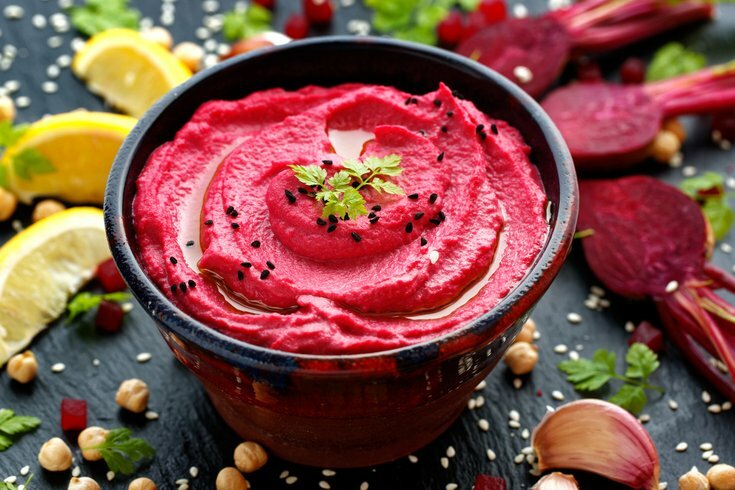 But for a change of pace, we switched it up a little to liven up a party in presenting this quick and easy roasted beet hummus which is a light, savory snack that will make your mouth pop with flavor. In a food processor, blend roasted beet until smooth. Add remaining ingredients to blend, reserving olive oil and water. Drizzle in olive oil while hummus is blending. If too thick, thin out with water until you have the desired consistency. Taste and adjust seasonings with salt and pepper, as needed. Place in a bowl and serve with vegetables , crackers or whole grain pitas of your choice. 1. Preheat oven to 400 º F. Line a baking sheet with foil. 2. If buying whole beets with stem, remove leaves and stalk. 3. Peel beets and dice. 4. Lay on baking sheet and toss with olive oil, salt, pepper, and dried sage. 5. Cover baking sheet with foil and bake beets for 1 hour or until tender. 1. Preheat oven to 425 º F.
2. Scrub, wash, and remove leaves/stalk from beets. 3. Place whole beets on aluminum foil and drizzle with olive oil and salt. 4. Wrap in aluminum foil and bake for 45 minutes or until tender.